They say that mathematics is the language of science, which is a way of saying that science is quantitative. It is moved forward by numbers and measurements, not just by qualitative observations. “It seems hot out” is not science. Giving a specific temperature, measured by a specific process at a specific time, compared to other systematically gathered measurements—that is science. 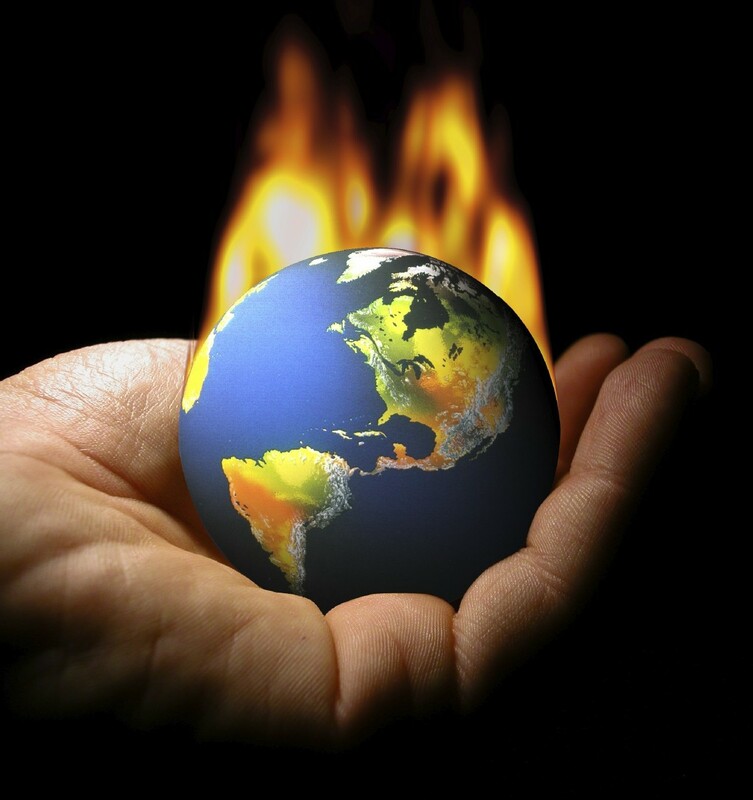 So when you read an article proclaiming that, for the third year in a row, last year was the hottest year on record, you might expect that right up front you will get numbers, measurements, and a statistical margin of error. You know, science stuff. Numbers. Quantities. Mathematics. And you would be wrong.I just got done combing through a New York Times report titled, “Earth Sets a Temperature Record for the Third Straight Year.” The number of relevant numbers in this article is: zero. We are not told what the average global temperature was, how much higher this is than last year’s record or any previous records, or what the margin of error is supposed to be on those measurements. Instead, we get stuff like this. Marking another milestone for a changing planet, scientists reported on Wednesday that the Earth reached its highest temperature on record in 2016—trouncing a record set only a year earlier, which beat one set in 2014. It is the first time in the modern era of global warming data that temperatures have blown past the previous record three years in a row. Note to the New York Times: “trouncing” and “blown past” are phrases appropriate to sports reporting, not science reporting. Except that no sports reporter would dare write an article in which he never bothers to give you the score of the big game. Yet that’s what passes for “science reporting” on the issue of global warming, where asking for numbers and margins of errors apparently makes you an enemy of science. Instead, it’s all qualitative and comparative descriptions. It’s science without numbers. It wasn’t just the New York Times. Try finding the relevant numbers ready at hand in the NASA/NOAA press release. You get numbers comparing 2016’s temperature with “the mid-20th century mean” or “the late 19th century.” But there’s nothing comparing it to last year or the year before except qualitative descriptions. So the government’s science bureaucracy is setting the trend, making reporters dig for the relevant numbers rather than presenting them up front. It’s almost like they’re hiding something. And that is indeed what we find. I finally tracked down an exception to this reporting trend: the UK newspaper The Independent gives us the relevant numbers. They should have been in the first paragraph, but at least they’re in the third paragraph: “This puts 2016 only nominally ahead of 2015 by just 0.01C—within the 0.1C margin of error—but….” There’s stuff after the “but,” but it’s just somebody’s evaluation. Even this report can’t give us a straight fact and leave it alone. For the benefit of science reporters and other people who are unfamiliar with the scientific method, let me point out that the margin of error for these measurements is plus or minus one tenth of a degree Celsius. The temperature difference that is supposedly being measured is one one-hundredth of a degree—one tenth the size of the margin of error. To go back to sports reporting, that’s like saying that the football is on the 10-yard line—give or take a hundred yards. I think you can see why they didn’t lead with these numbers in the first paragraph or the headline, because if they did everyone would stop reading and move on to the next article. “This Year’s Temperatures Statistically Identical to Last Year’s” is not a headline that grabs anybody’s attention. That’s not the worst part. The worst part is that this isn’t the first year they’ve done this. Two years ago, government agencies and gullible reporters repeated the exact same claims about the hottest year on record, along with some other howlers. What was the margin for that year’s record? Two one-hundredths of a degree, also much smaller than the margin of error. Lest I be accused of not giving you numbers, global temperatures for 2015 were reported to be higher than 2014 by as much as 0.29 degrees Fahrenheit (0.17 Celsius), though you have to read to the 18th paragraph before the New York Times deigns to tell you this. That’s not as impressive as it may seem, because both 2015 and 2016 were El Nino years, when there is a normal, natural increase in temperatures. This highlights a bigger problem with the global warming theory. For all the excitement over records set over the past 137 years—precise global thermometer measurements date only to 1880—current temperatures still are not clearly out of the range of normal variation in the 10,000 years or so since the planet bounced back from the last ice age, despite all of the furious attempts to hype them up. Yet here is Arizona State University “theoretical physicist”—and, of course, media personality—Lawrence M. Krauss taking to Twitter to ask: “When will the evidence of the need to act be enough?” This is above a link to, you guessed it, the number-free New York Times report. Yes, I really do wonder how anyone could possibly be skeptical of claims about the climate made by science “advocates” and by the media. It’s a total mystery.